This is a large example of a watercolor by Rolla Taylor. It is in excellent condition. My photos do show a little glare from the glass. It is a watercolor with several areas of the painting having small oil paint highlights included. Taylor, originally from Galveston, Texas, started painting at the age of 14. Before arriving in San Antonio, Texas in 1889, the Taylor family spent several years in Houston and then traveled to Cuero, Texas by covered wagon. Taylor graduated from the Cuero Institute and later studied in San Antonio with Robert Jenkins Onderdonk, Jose Arpa and Theodore Gentilz. Later he studied in France for 3 months, and with Arhtur W. Best in San Francisco, and Frederick Fursman in Michigan. Taylor was a personal friend of the artist Julian Onderdonk. Taylor exhibited frequently for 60 years, including local, state and numerous national exhibitions throughout America. 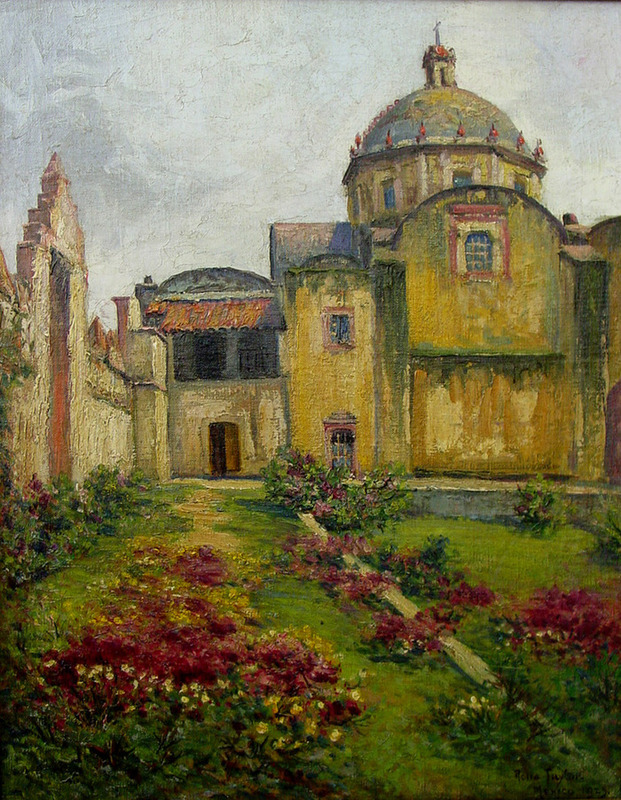 His first exhibit was in San Antonio in 1894, at which he won first prize of $500 and later sold the painting for another $500. 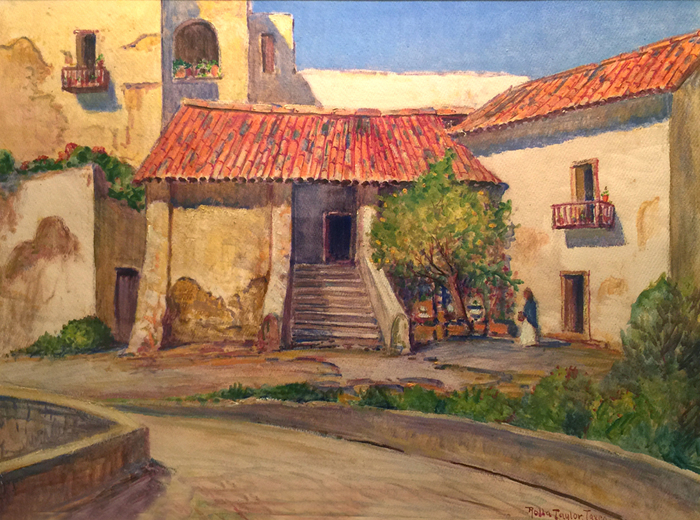 He painted in the impressionist style, lively with color and flooded with sunlight, which represents Jose Arpa’s influence. His subjects were mostly old buildings, shacks, landscapes, San Antonio River scenes, missions of San Antonio, blooming cactus, and scenes of old Mexico. During his earliest years, his subjects would be a pair of shoes, a cat, some books, Mexican jugs or anything in the home. Many of his local paintings are now of historic interest that recorded buildings that no longer exist. 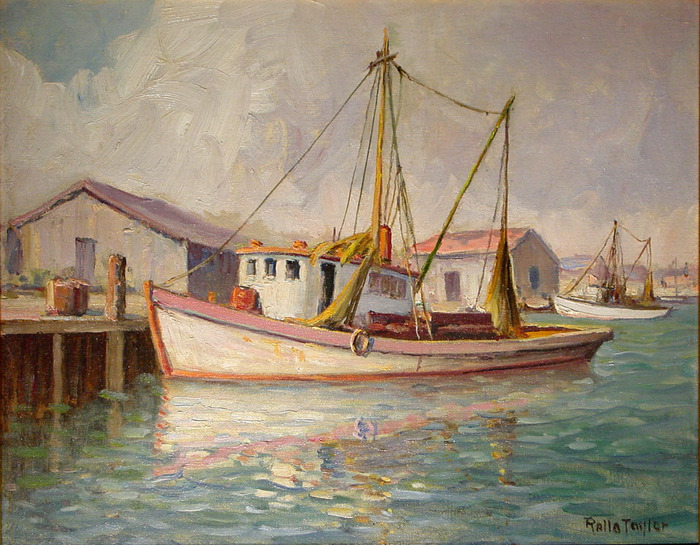 His memberships include: American Federation of Arts; Chicago Society of Artists; Independent Society of Artists of New York; San Antonio Art League; Southern States Art League; River Art Group; Coppini Academy; Leon Springs Art Colony.